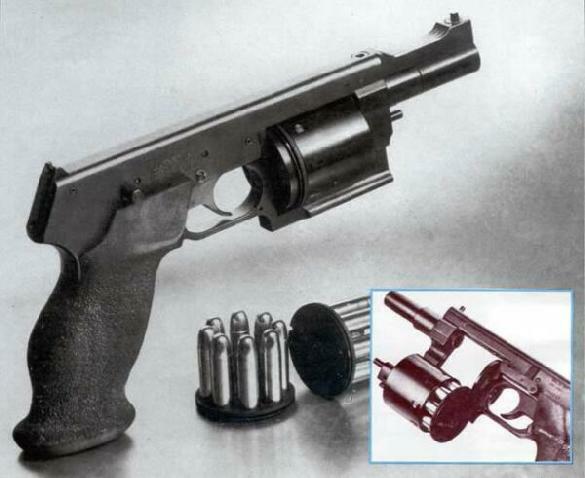 Another weapon from the italian manufacturer MATEBA, this looks like a prototype, or an early version, of the AUTOREVOLVER. This one fires the .22-LR, feeding from an 8-rounds revolving cylinder placed in a strange position. I don't know if this gun ever was, or is, in production and on sale. Any further information from you or any other cooperator is welcome.